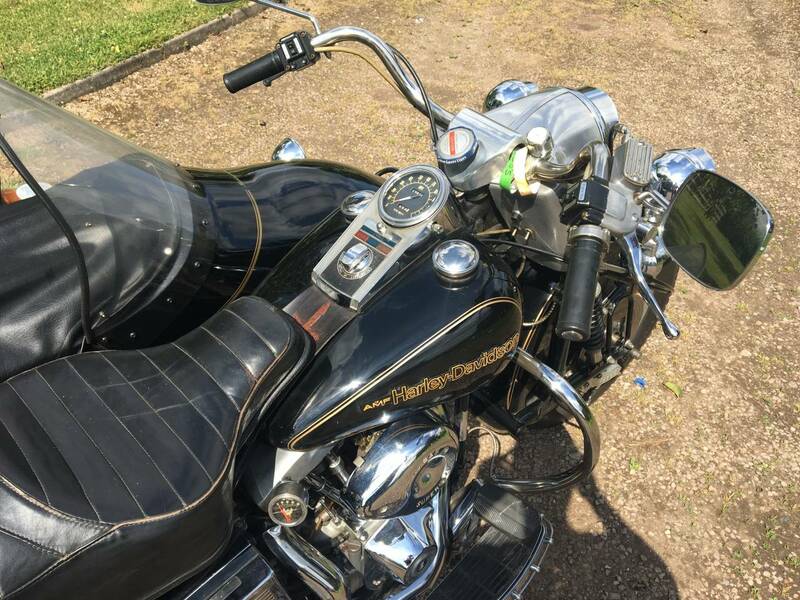 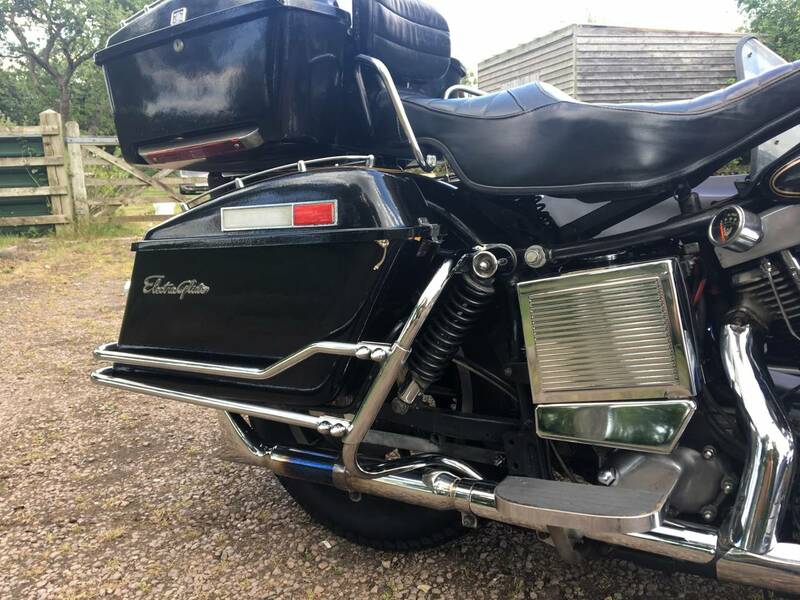 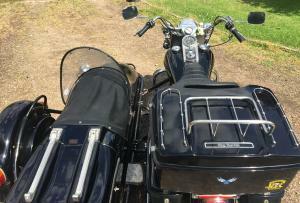 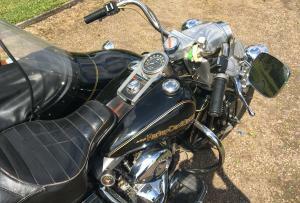 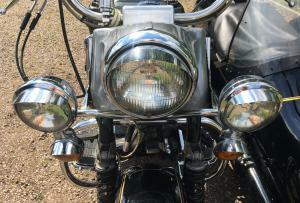 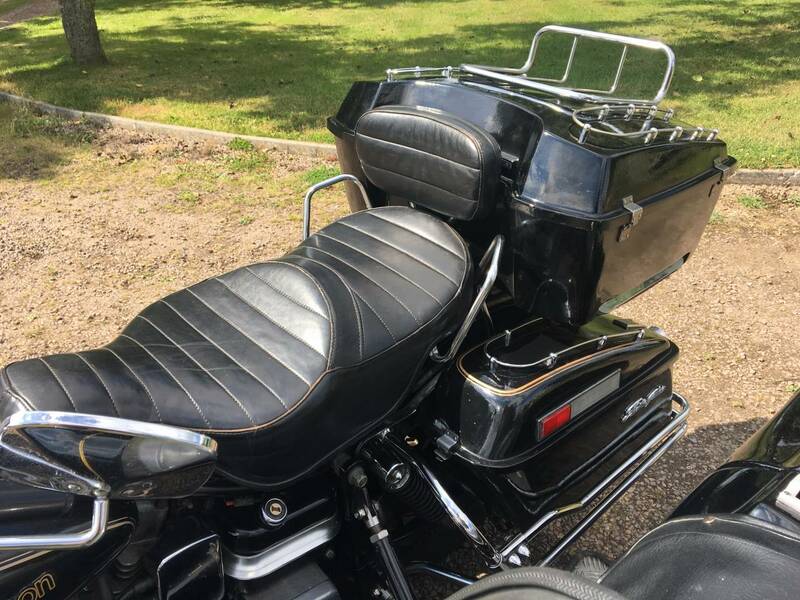 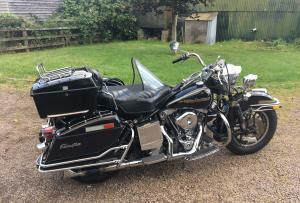 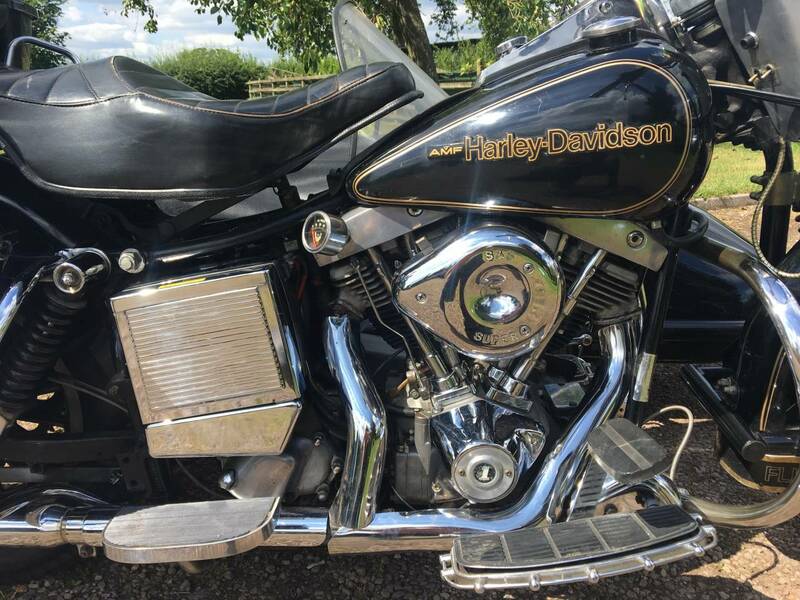 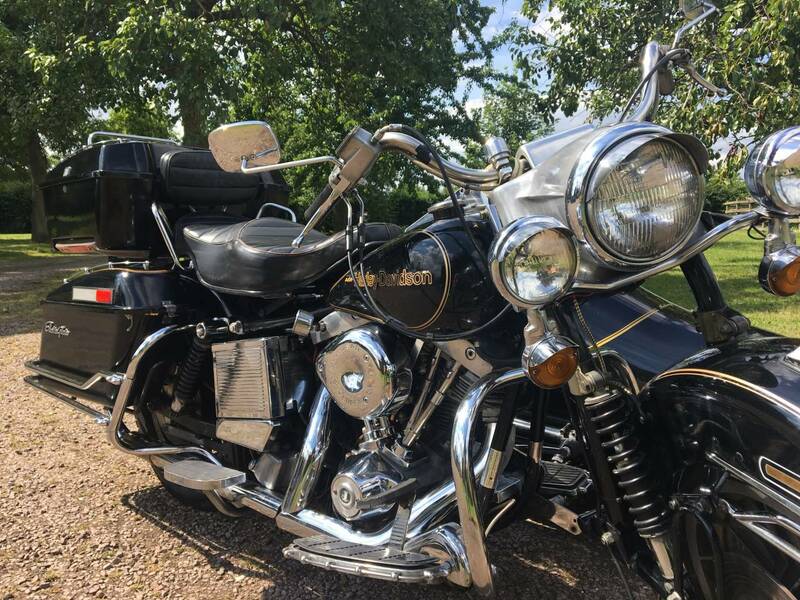 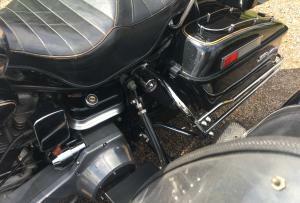 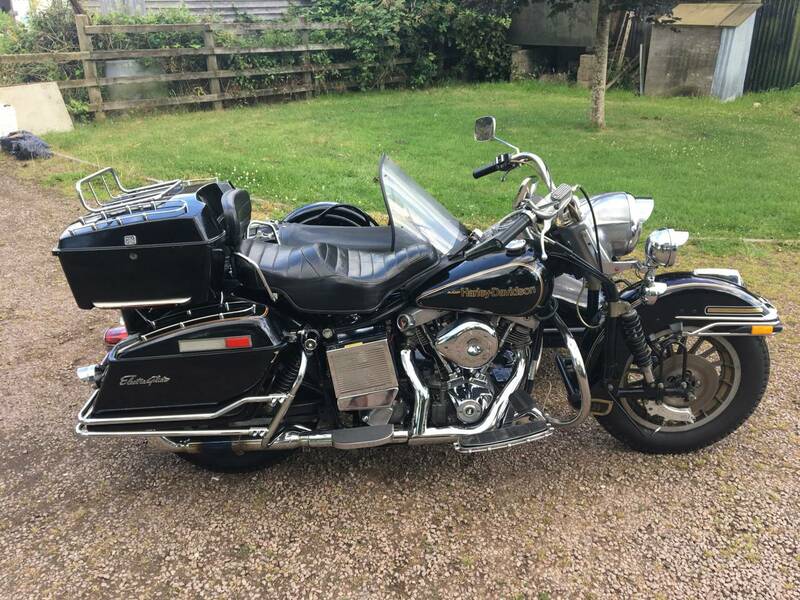 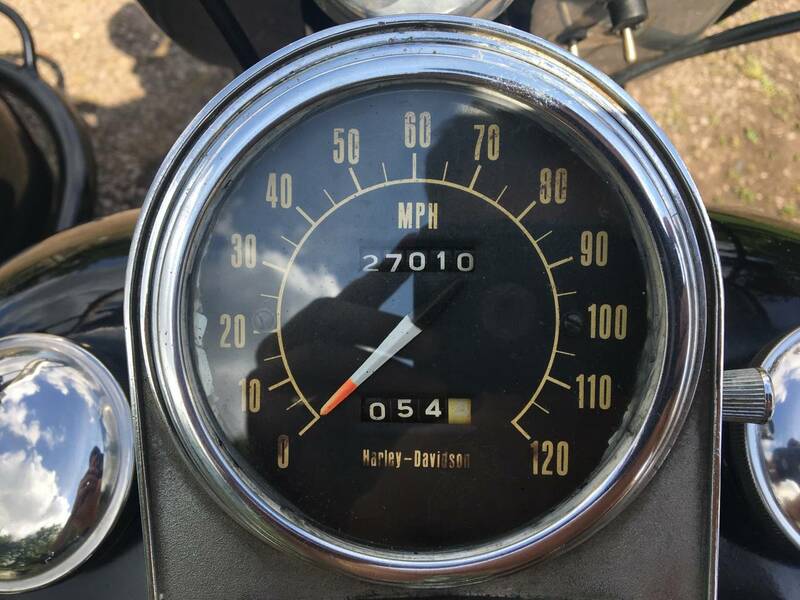 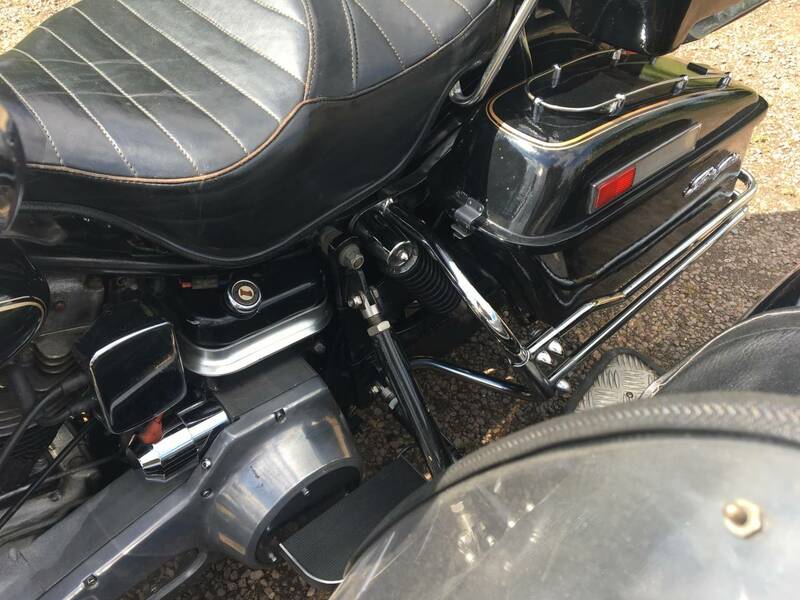 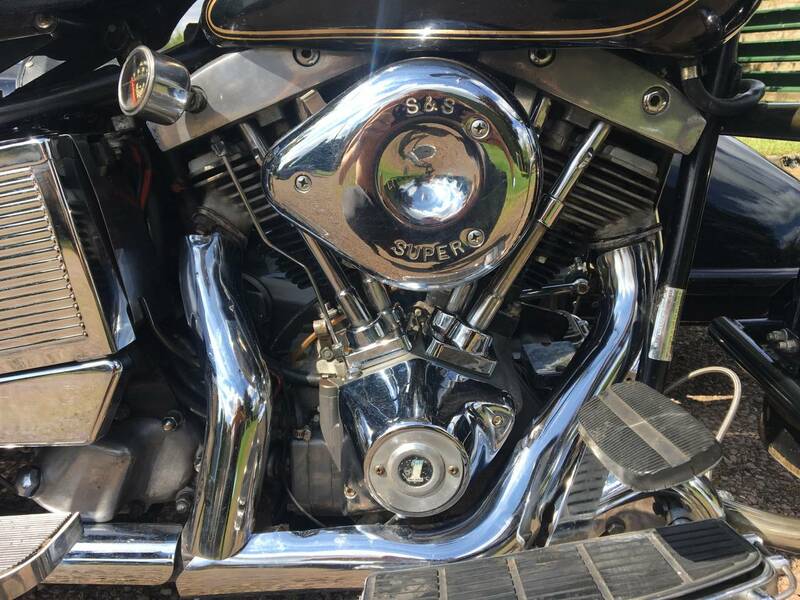 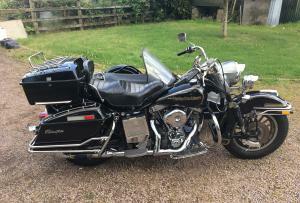 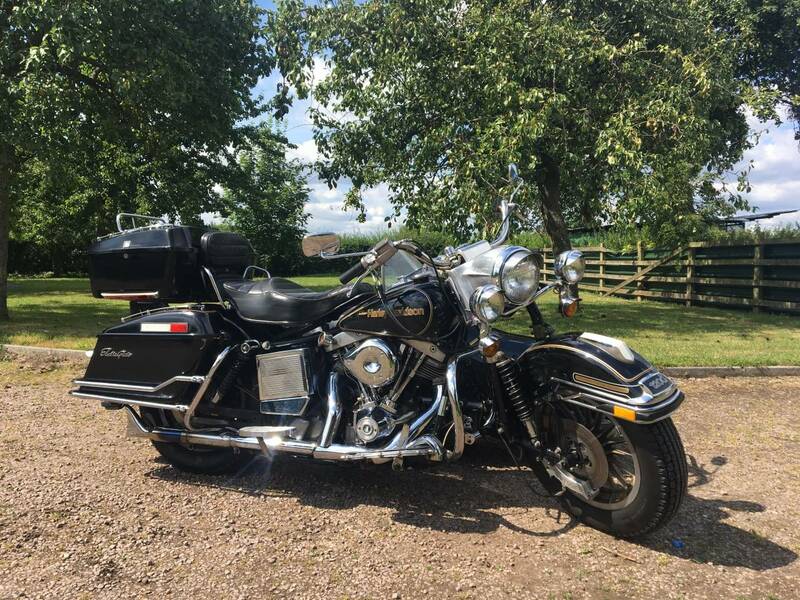 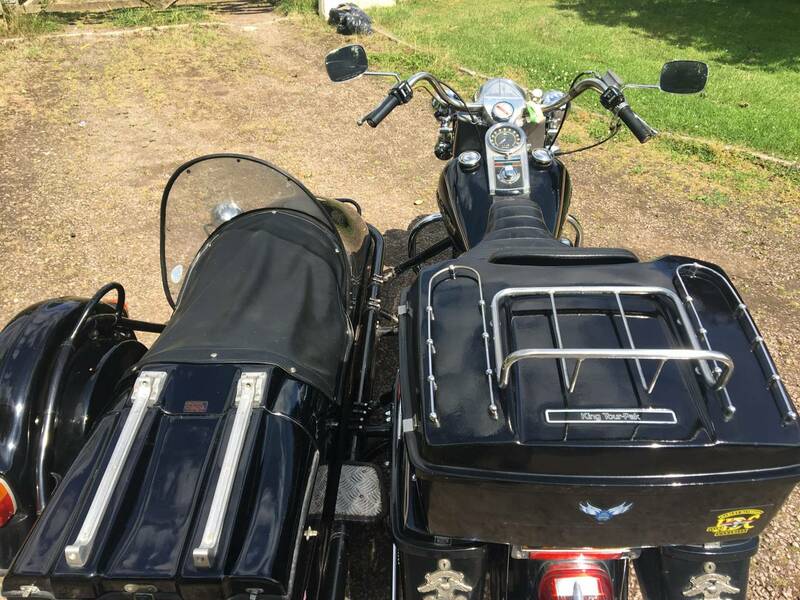 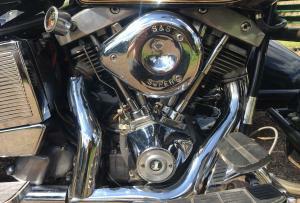 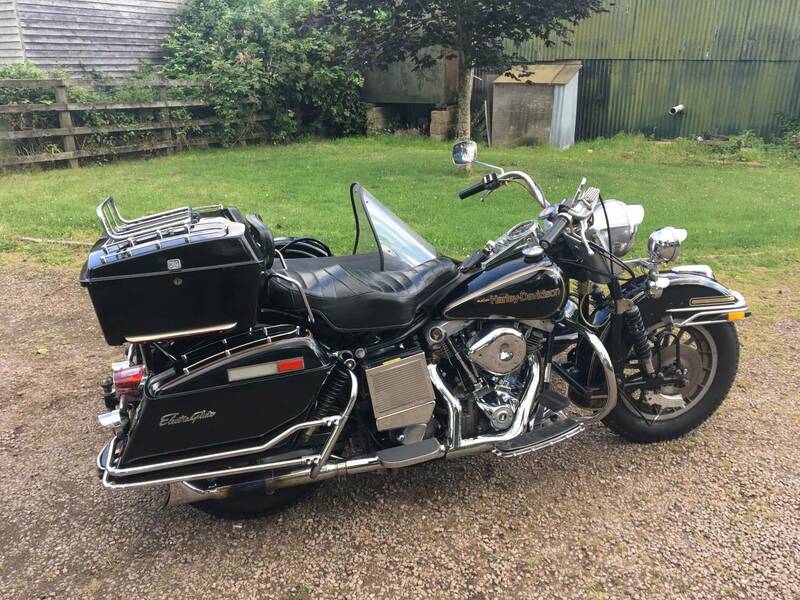 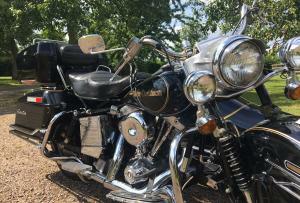 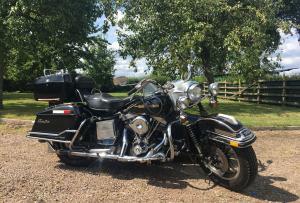 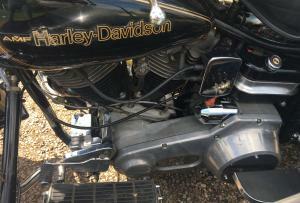 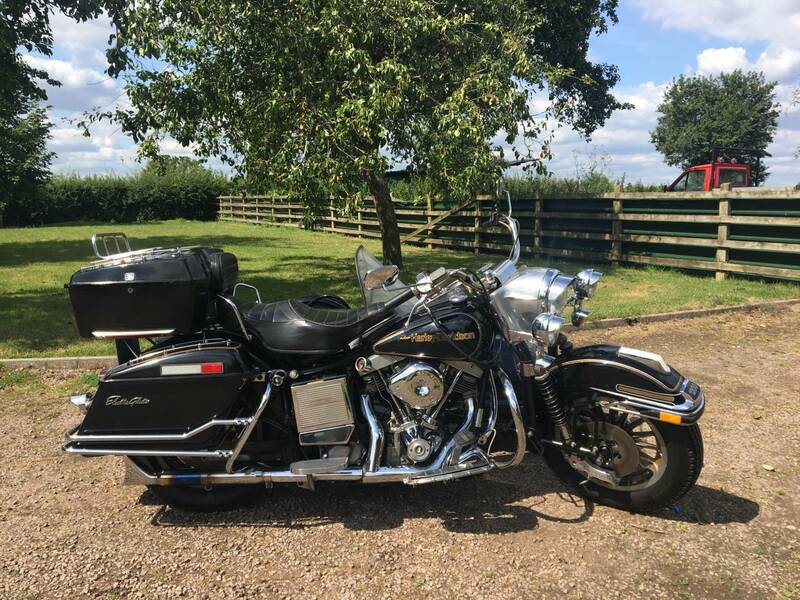 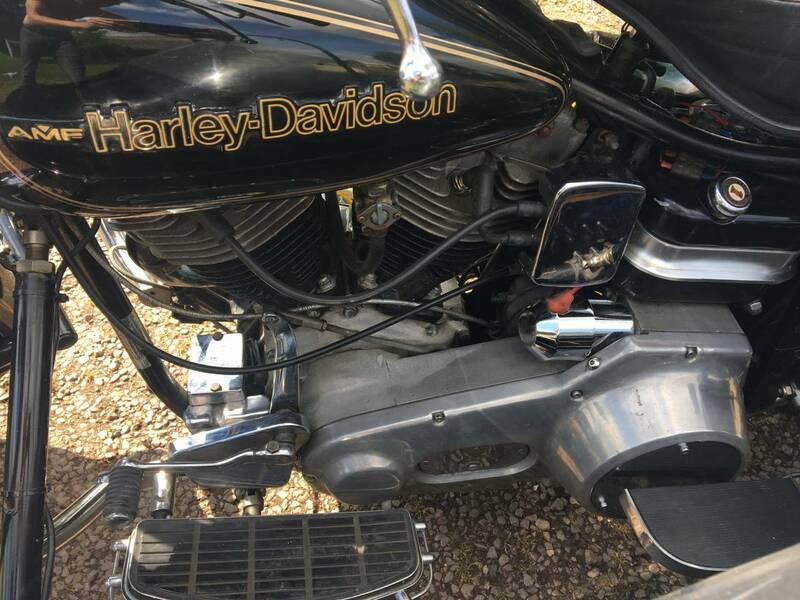 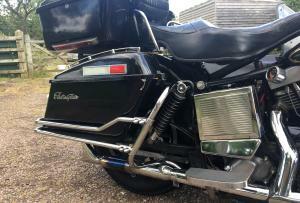 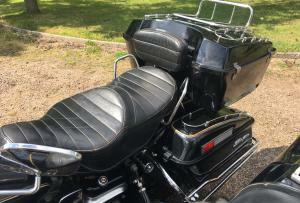 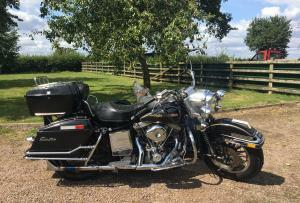 Harley Davidson FLH 1978 1200 cc Shovelhead. 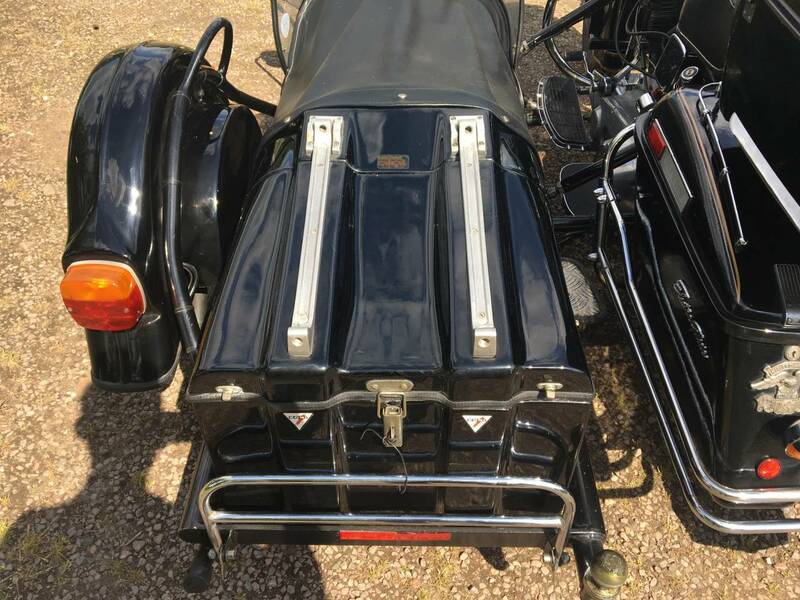 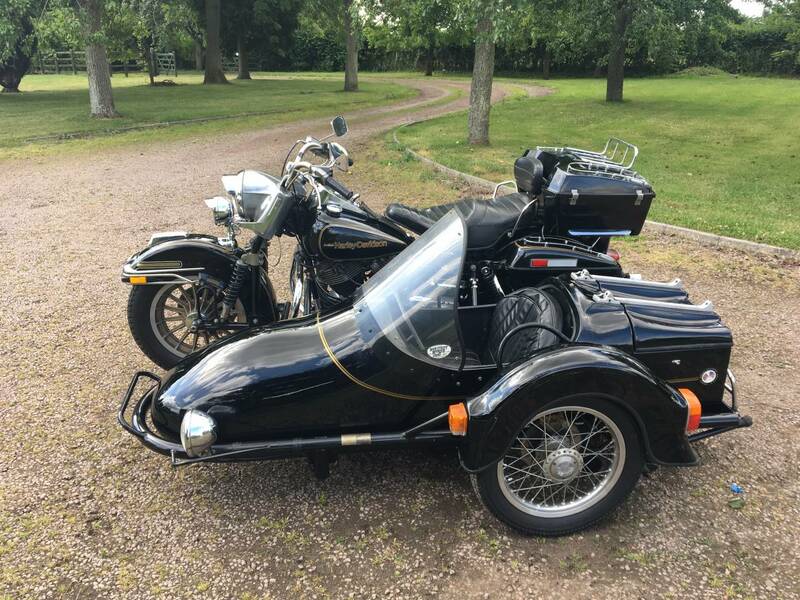 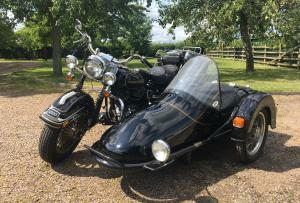 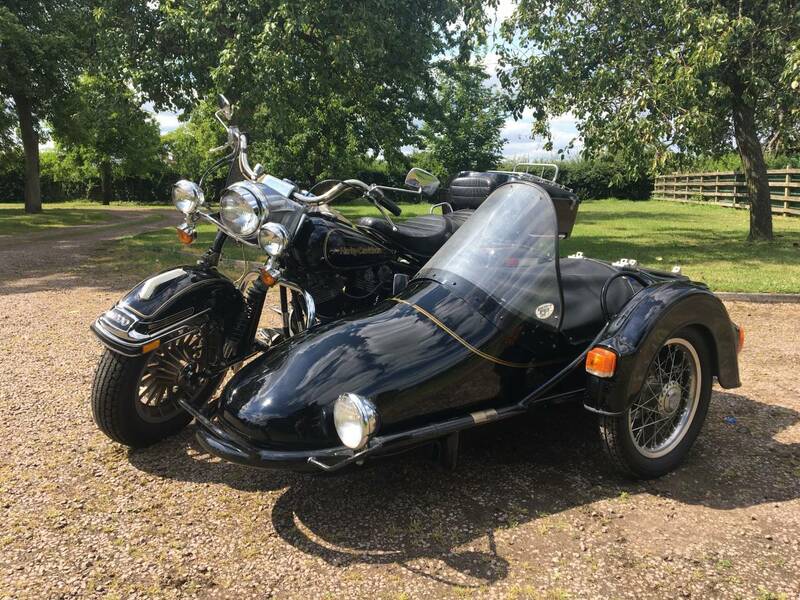 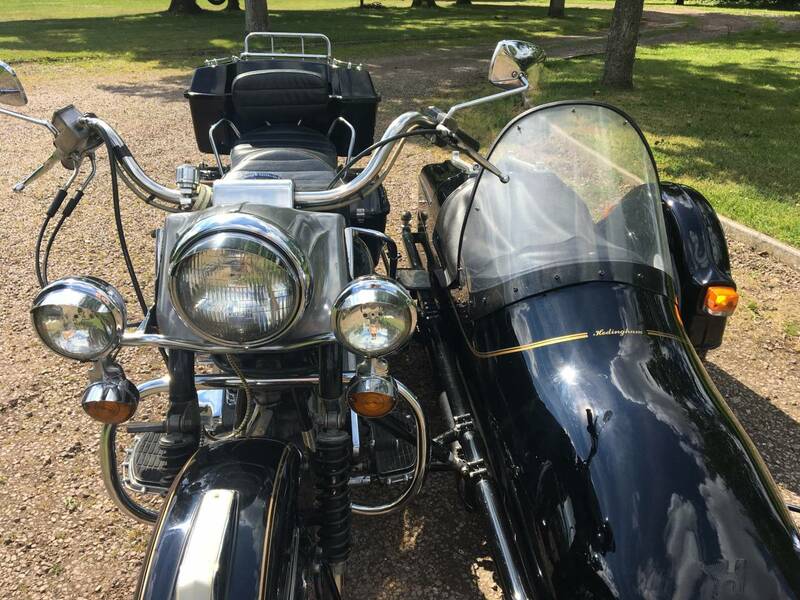 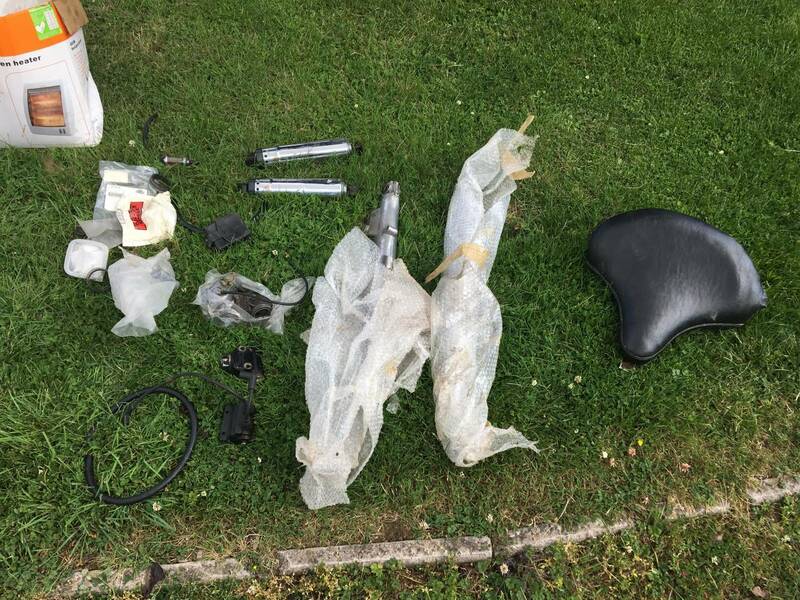 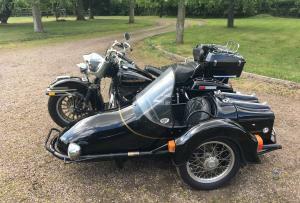 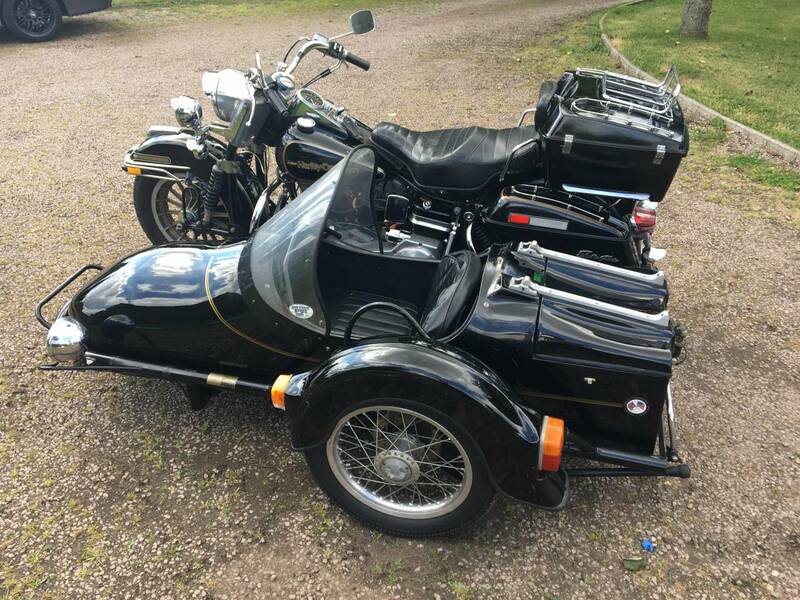 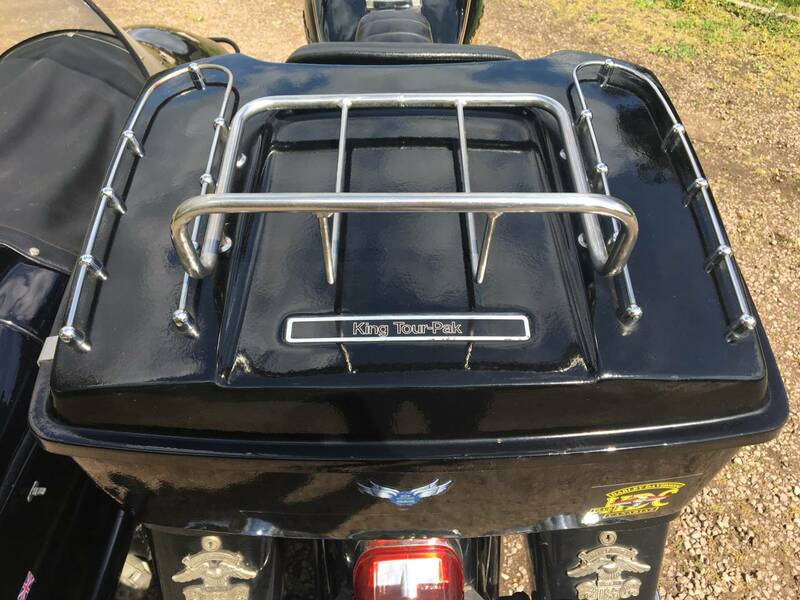 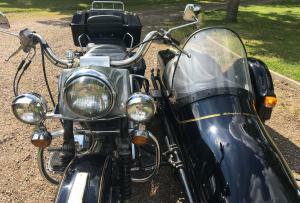 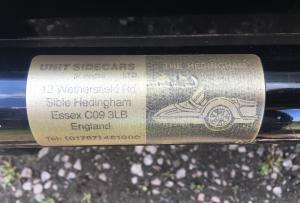 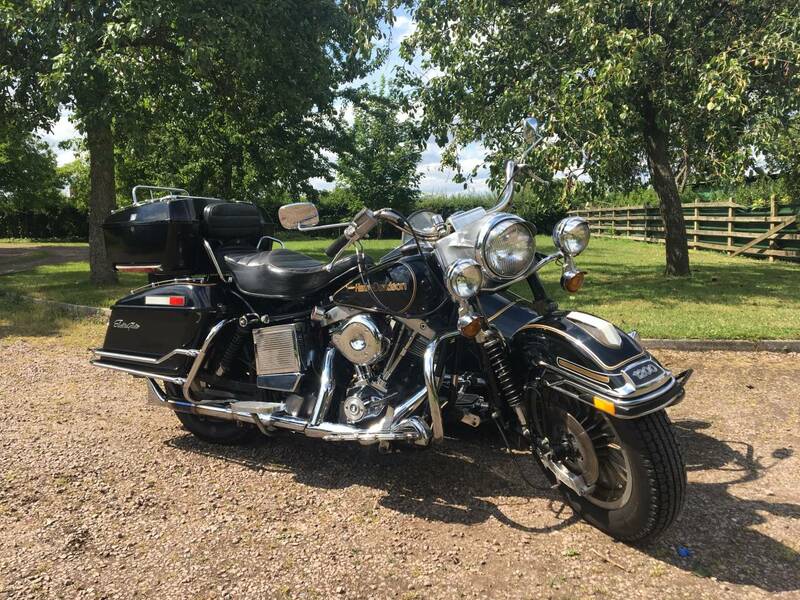 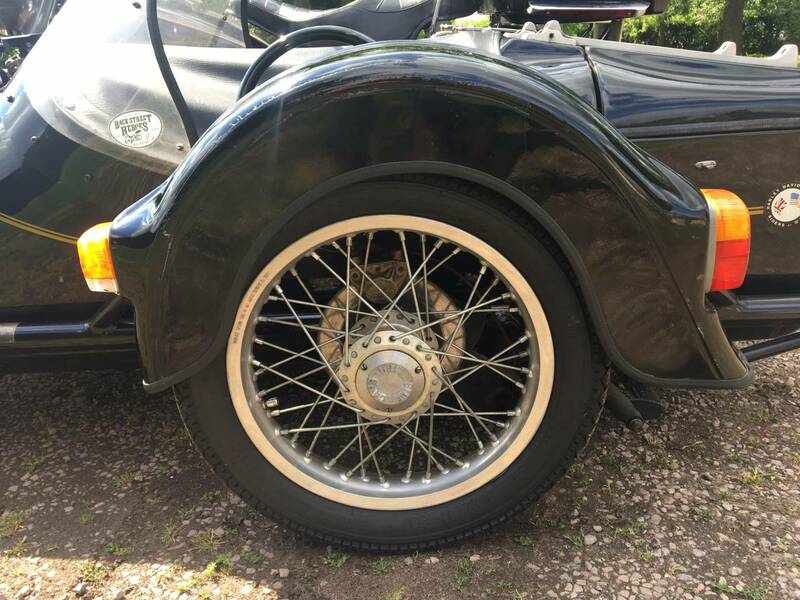 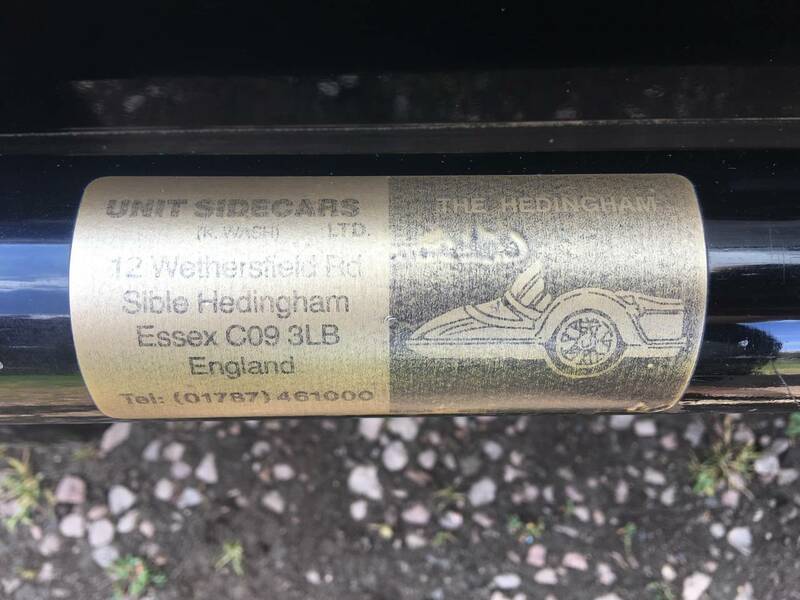 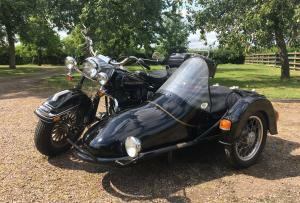 With​ Hedingham Single Seat Side Car Costing £6150 New! 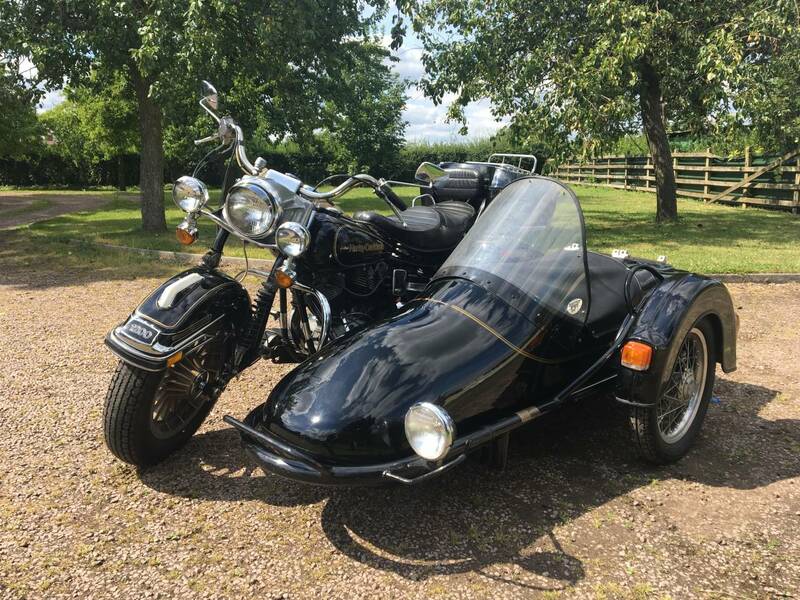 Now A Rare Classic . 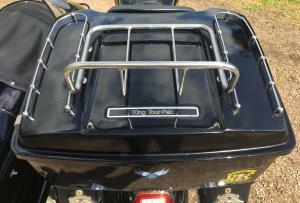 Looks Great In Black , With Gold Pinstripes . 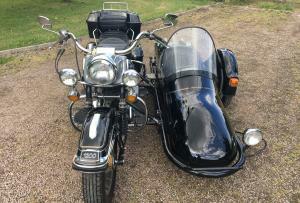 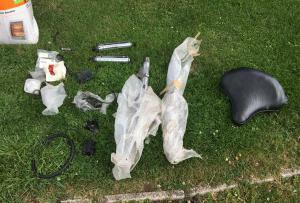 Very Original And Comes With The Original Forks , Front Wheel And Mudguard , That Were Removed To Fit The Leading Forks. 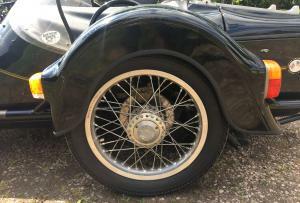 Could Easily Be Returned Back To A Solo , If Required , Or Use " As Is ". 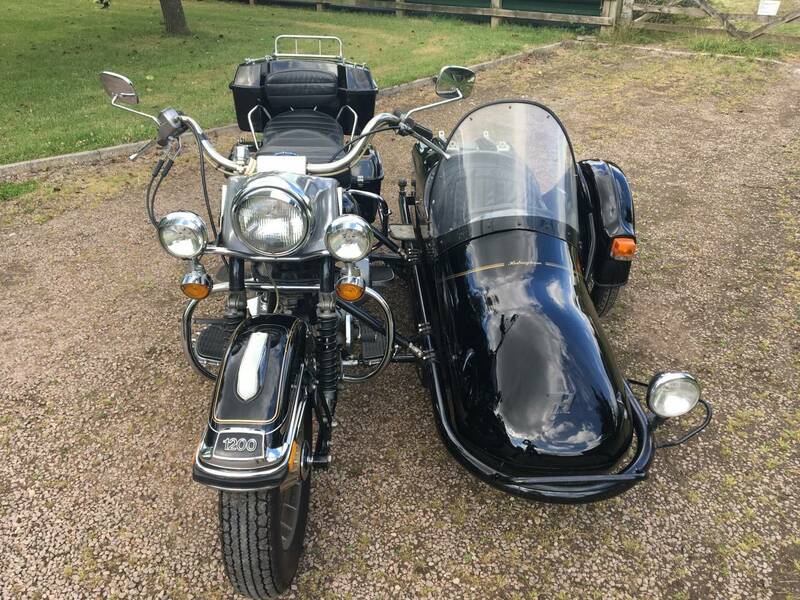 Starts Easily , Runs And Handles Very Well . 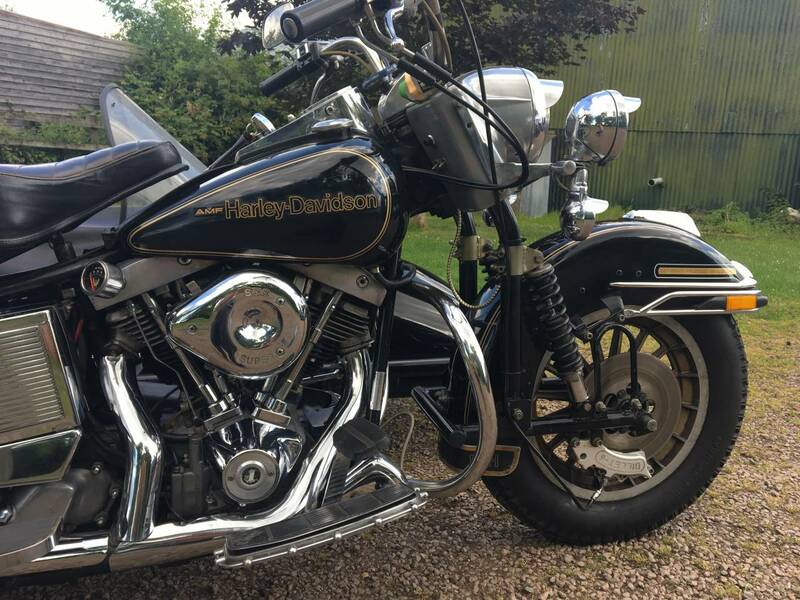 Sounds And Looks Great Too , With Loads Of Old School Charm And Character. 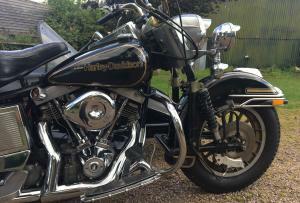 Motd And Ready To Go . 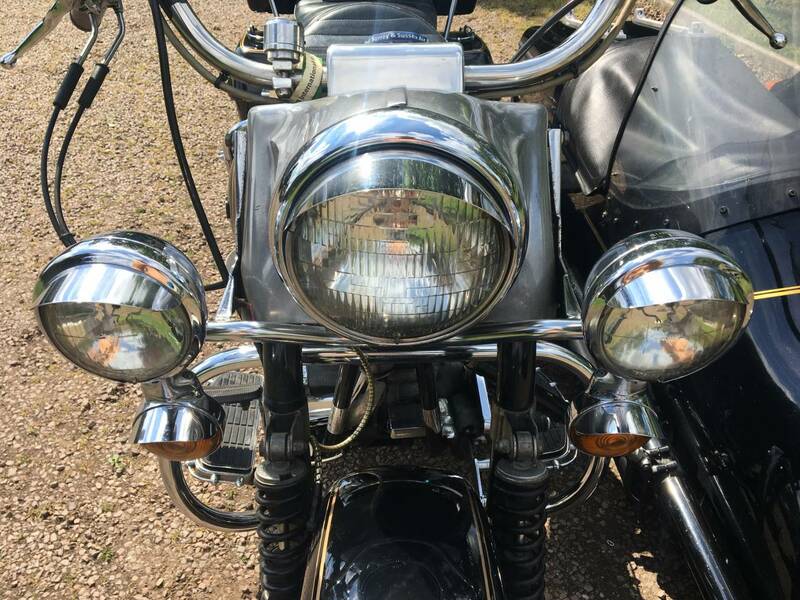 A Rare Find And A Lot Of Metal For Your Money . 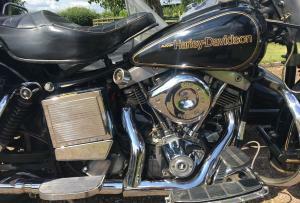 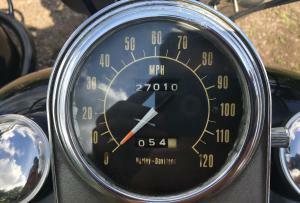 Also A Great Investment , As Shovelheads Are Only Going Up In Value And Originals Are Hard To Find .